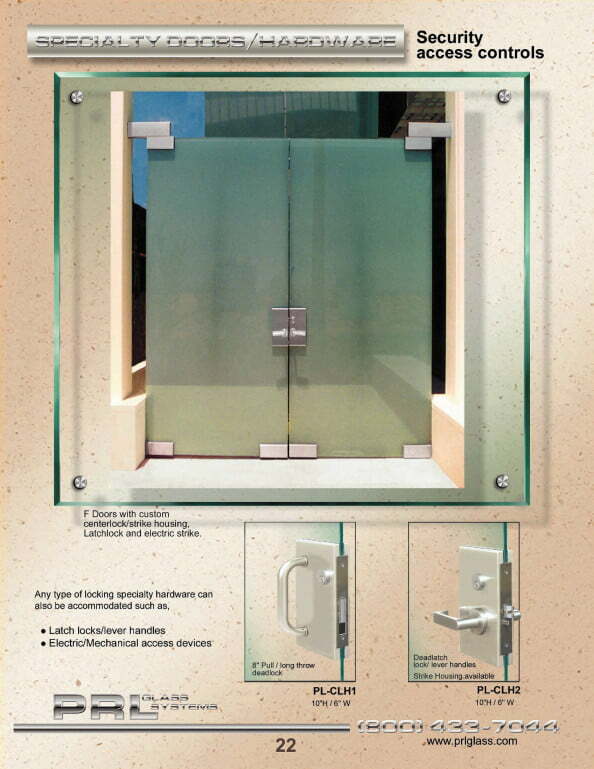 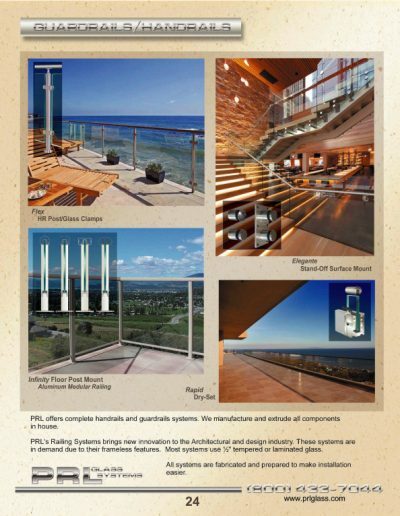 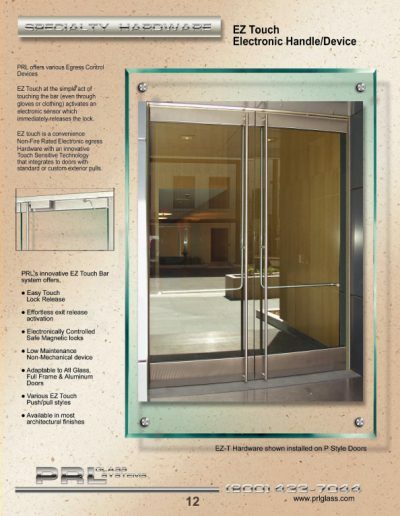 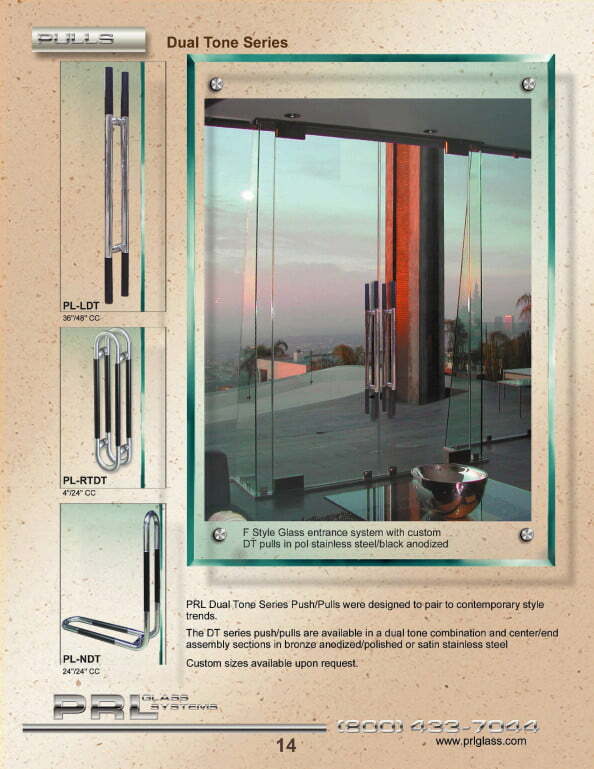 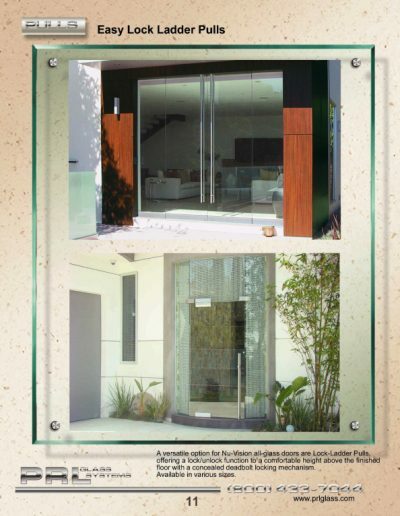 PRL is the only manufacturer in the country that manufactures All Glass Entrance Systems with complete tubular panic device and hardware, in-house and ships to anywhere in the country. 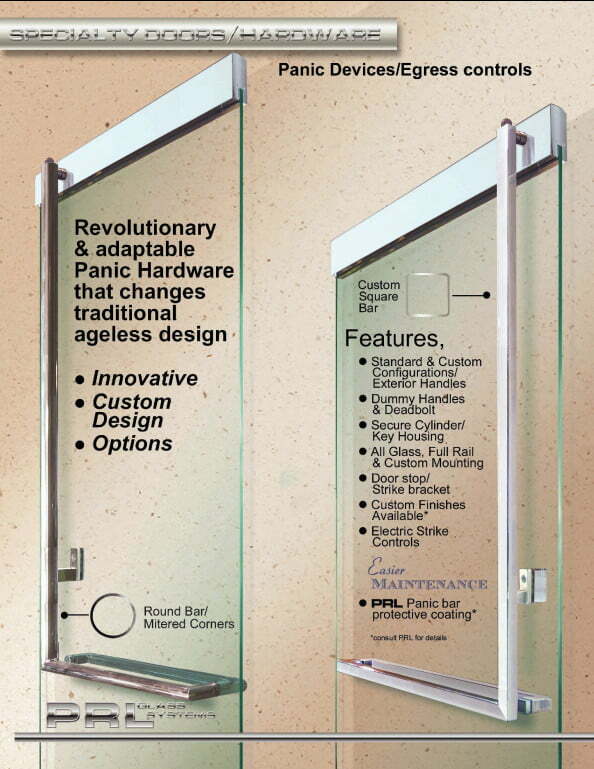 When we say “complete”, we mean glass, metal and panic device hardware. 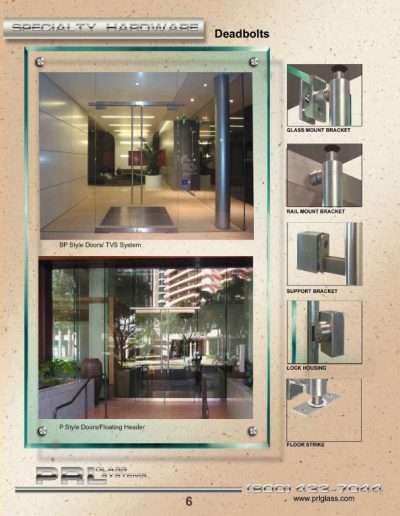 We fabricate the tempered glass, extrude and fabricate our own metal rails and frames, and manufacture our own UL certified tubular panic device for All Glass Entrance Doors. 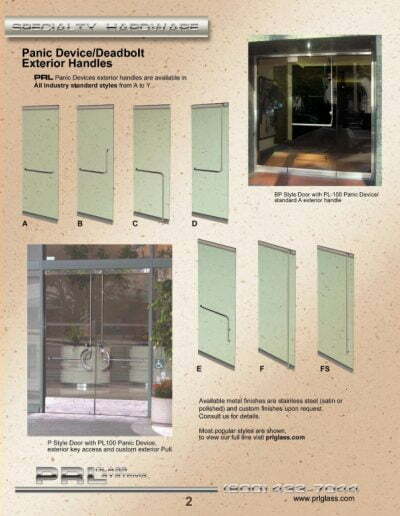 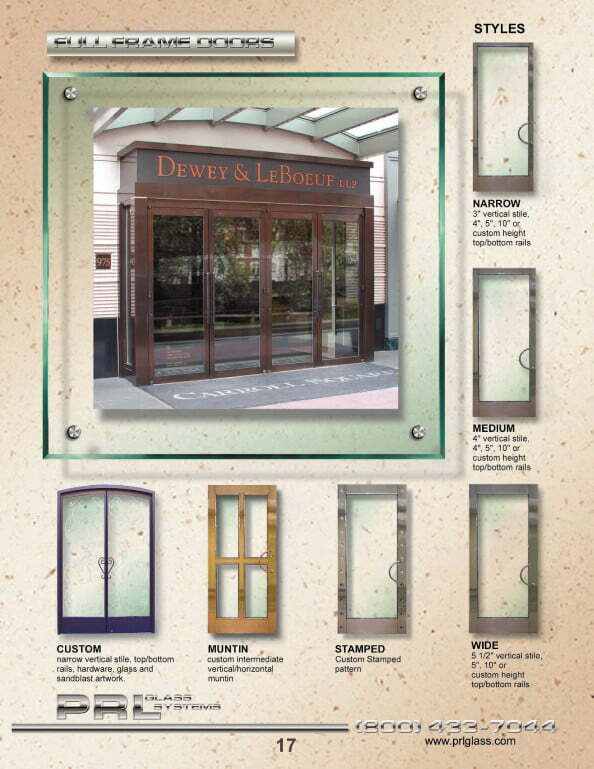 We are the only entrance door supplier offering all of these from one source. Our Aluminum Storefront Division, PRL Aluminum, Inc. offers complete storefront and curtain wall systems including doors, sidelights and glazing, fabricated to your field dimensions. Our two divisions complement each other, making PRL the only true single source supplier of complete entrance systems and hardware. Because of our in-house capabilities we offer the fastest production time in the Industry. 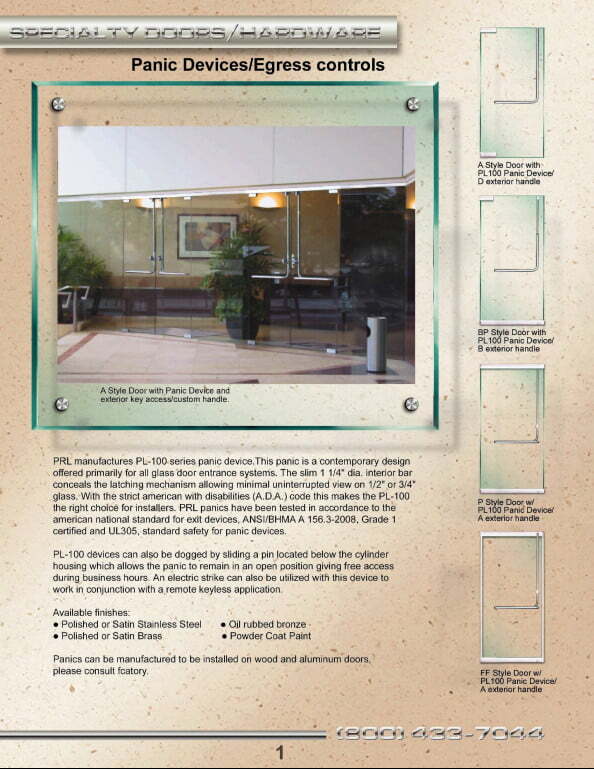 Why risk your project on a supplier who cannot control all aspects of your order? 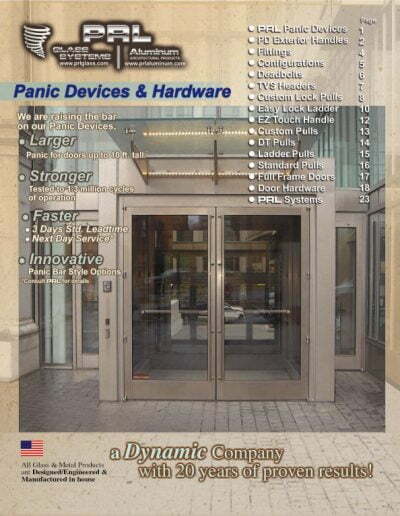 PRL Glass Systems, Inc. Manufacturers Complete 2012 Panic Devices and Hardware Catalog. Our PL100 Device is a certified equivalent to currently specified tubular panic hardware. 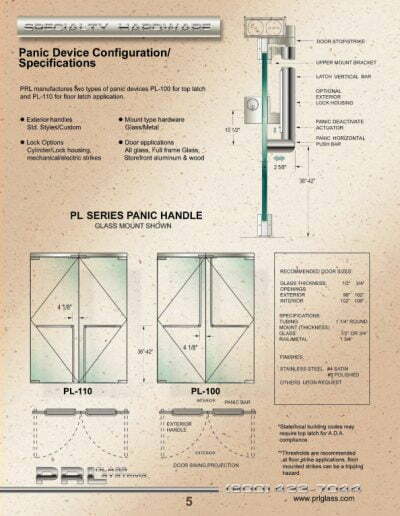 The PL100 panic device has been tested in accordance with the American National Standards for Exit Devices, ANSI/BHMA A 156.3-2008, Grade 1 Certified and carries the certification label for UL305 Standard for Safety for Panic Devices. 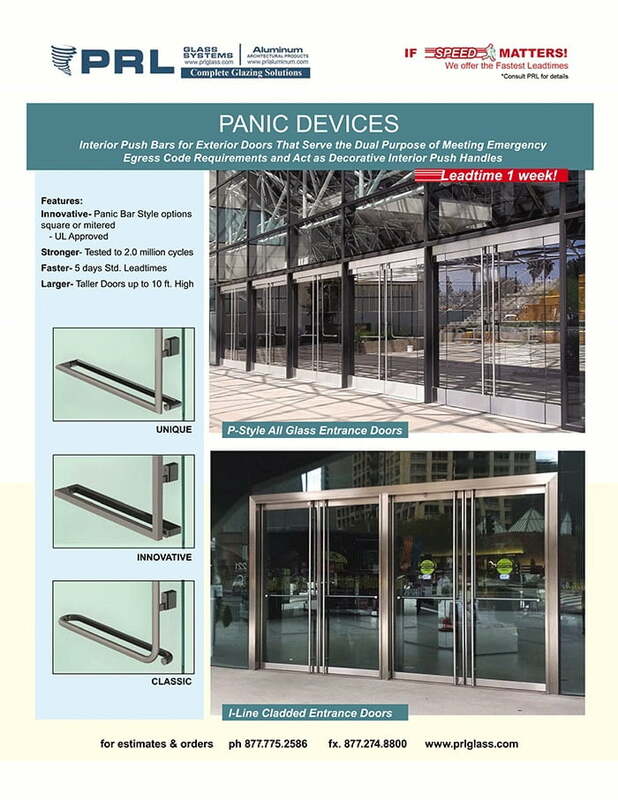 PRL is currently the only manufacturer of this style of panic device and hardware that has been tested and approved on 3/4″ glass doors up to 120″ tall, having successfully completed over 1,000,000 cycles of testing (test reports available, please contact PRL Glass Systems). 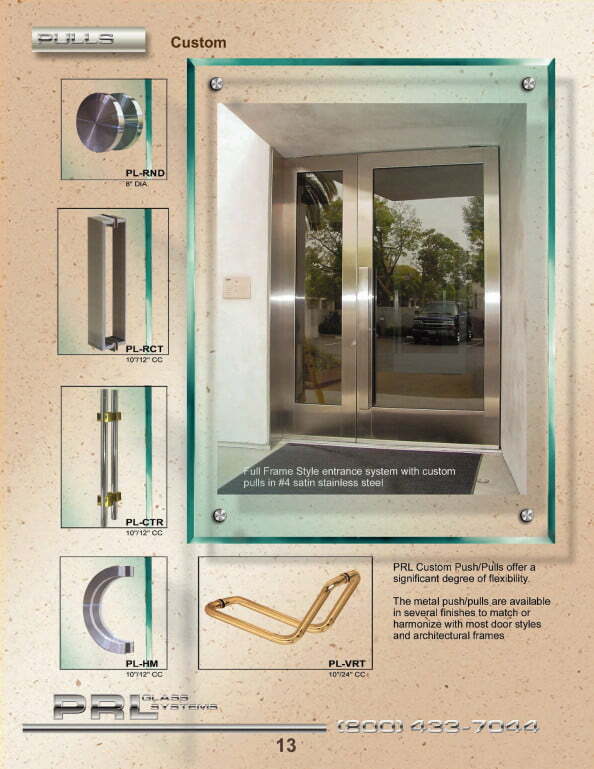 In addition to the basic tubular panic device design we offer square tube and mitered corner panic designs. 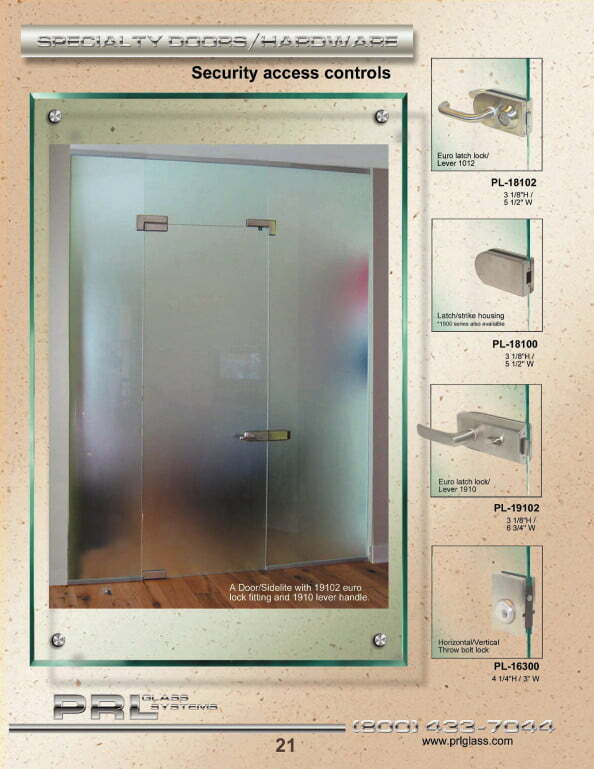 We also offer an extensive line of exterior panic door pull handles and hardware all manufactured in-house. We offer 1/4″, 3/8″, 1/2″, 5/8″ and 3/4″ tempered glass and laminated glass with one furnace capacity of 88″ x 184″ and a second furnace capacity of 96″ x 172″. 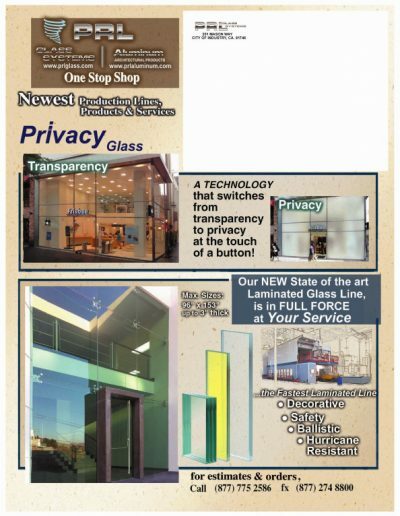 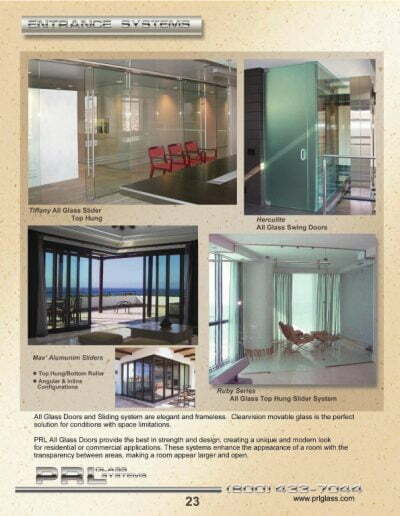 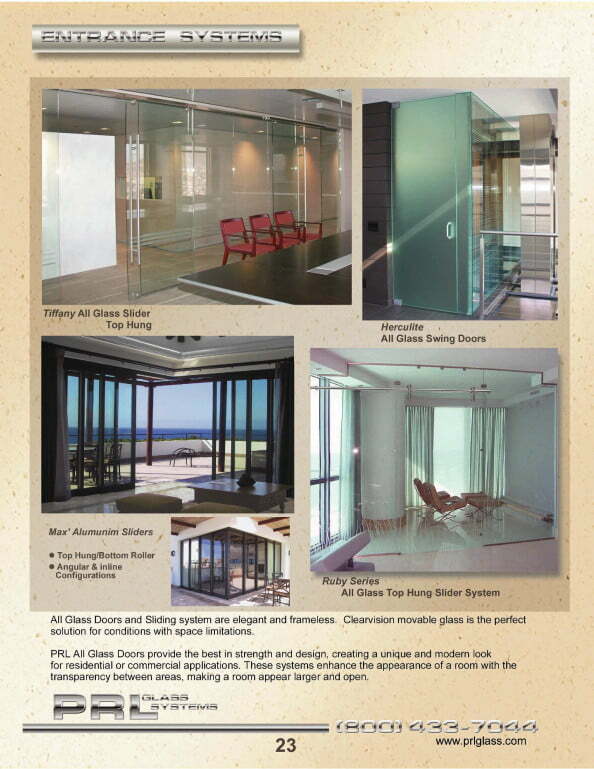 In addition to heavy tempered glass we offer a full line of tinted, reflective, textured, spandrel and sand blasted glass (custom design work). 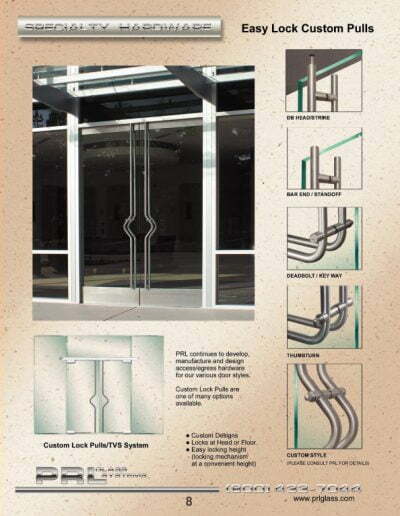 Our fabrication capabilities are extensive, offering custom edgework and intricate pattern cuts. 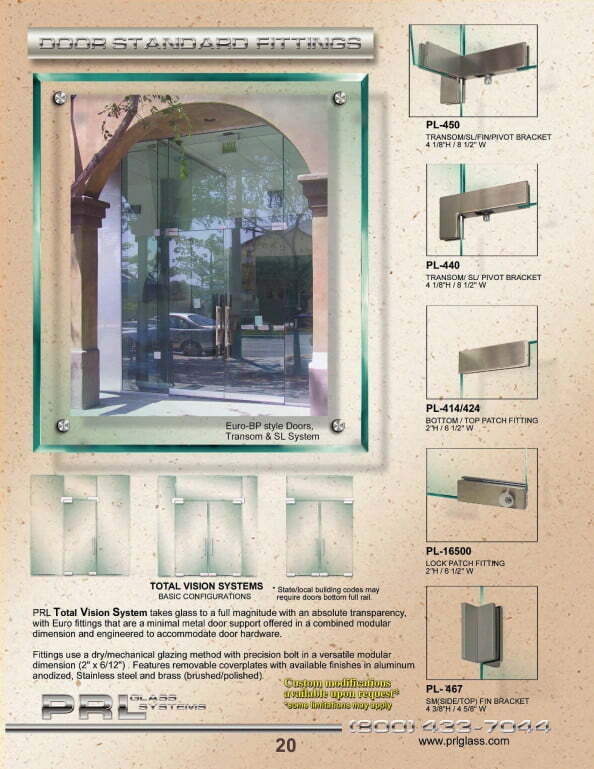 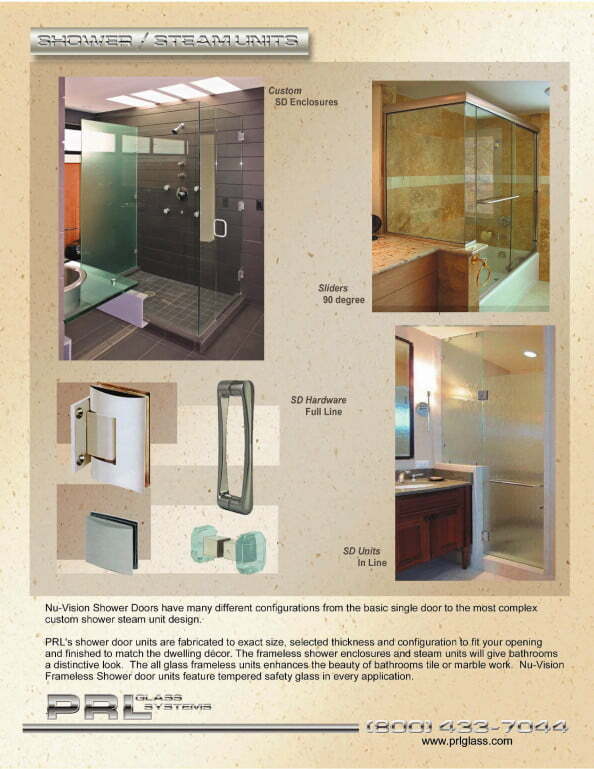 We fabricate insulated units from 5/8″ to 1-1/4″ and are certified to supply high performance Low E glass. 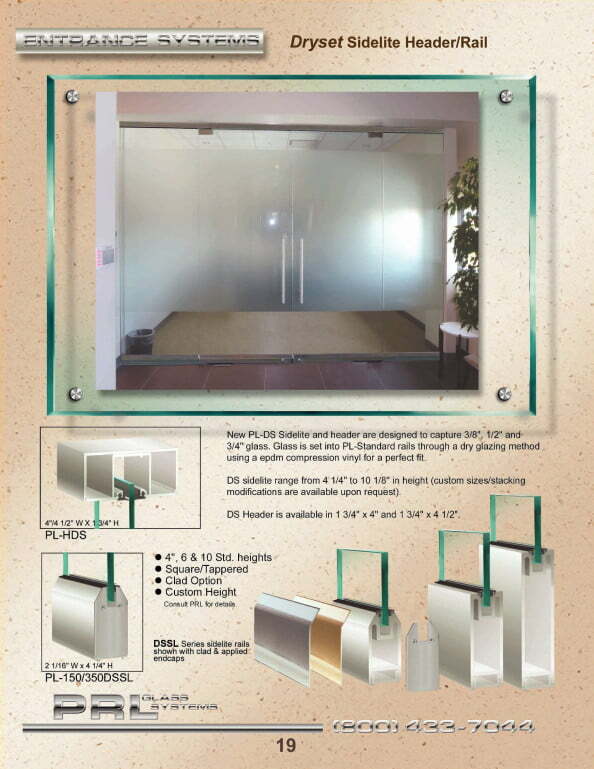 We are capable of producing heavy tempered glass, including 3/4″, overnight when time requirements are critical. At PRL our door rails and frame systems are extruded in-house on our Aluminum Extrusion Press. 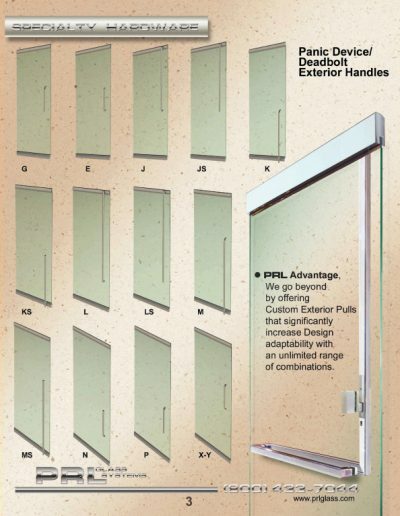 We extrude our own door rails, stiles, headers, jambs and intermediate frames that complement the entrance package. 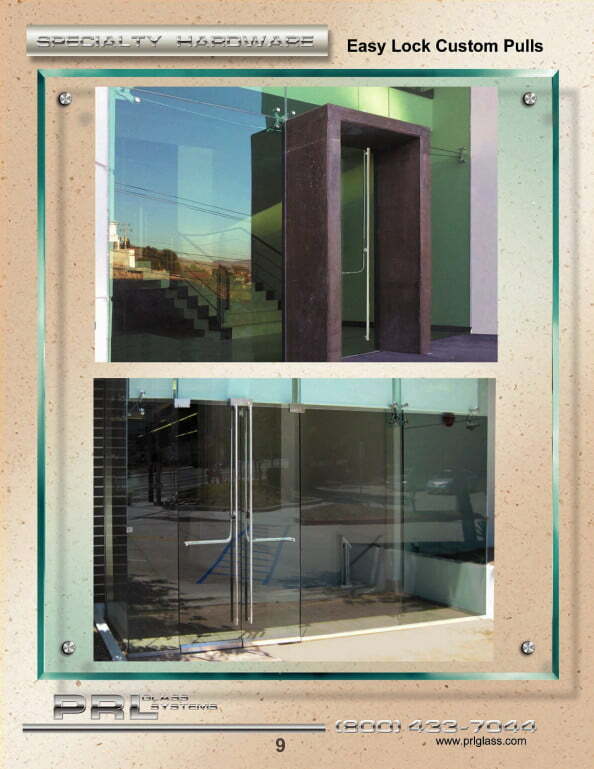 Custom shapes can be extruded. 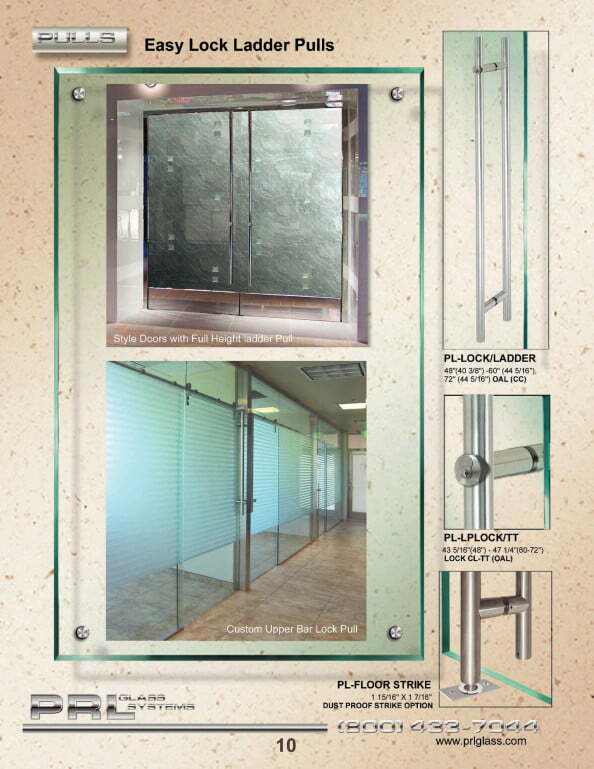 We clad, weld and finish aluminum, stainless steel and brass materials in our facility. 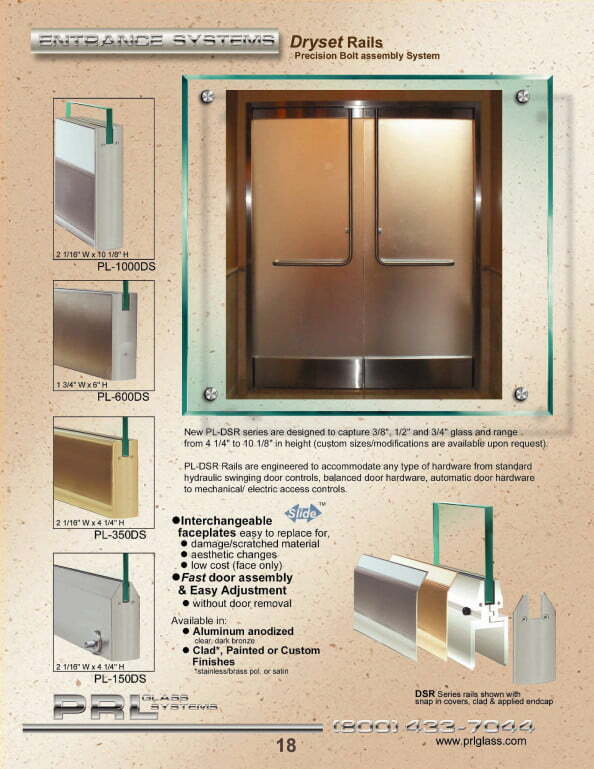 Anodized materials are in-stock on the shelf. Painted finishes are available. 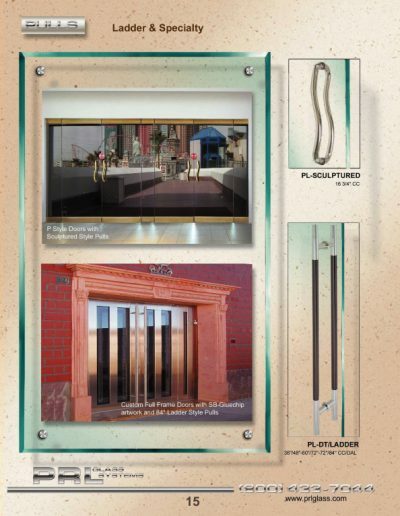 We offer a full line of Monumental Style Full Framed Entrance Door Systems that are fully fabricated and glazed before shipping. Our Storefront Division offers Commercial Grade Framed Sliding Doors. Our Brake Metal Department has the capacity to shear up to 12″ lengths up to 3/16″ thick. 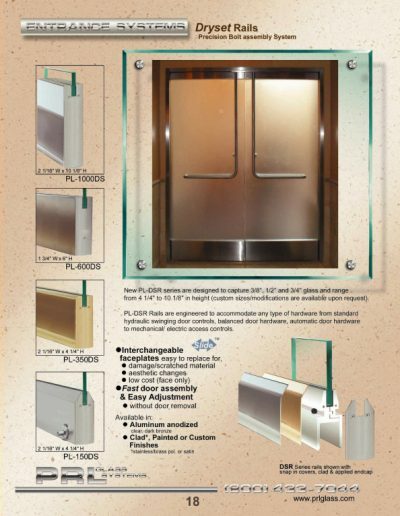 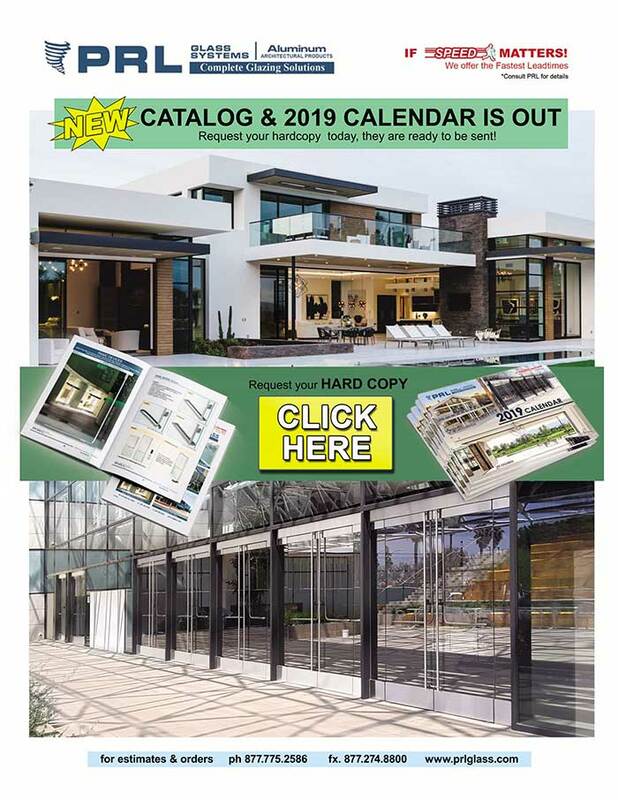 Mill finished and anodized aluminum, stainless steel, brass and white powder coated sheets are in stock for forming metal transoms, in- fill panels, jamb covers, column covers, etc. 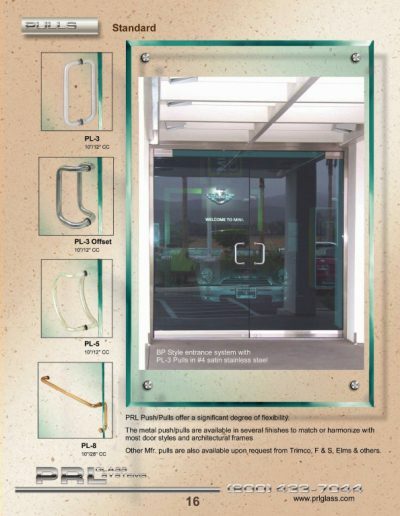 PRL stocks a full line of door hardware, including closers, handles and electrical locking device hardware. 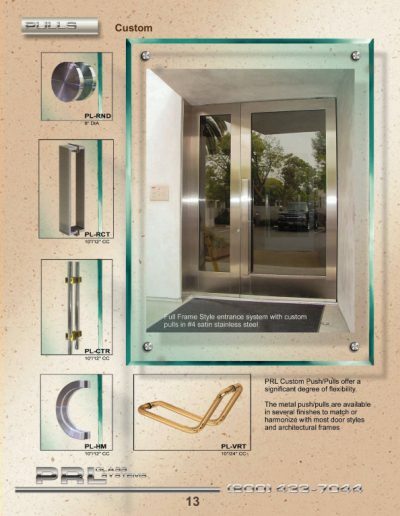 We manufacture our own Ladder style pull handles as well as locking Ladder Pulls and center lock and strike housings. Our metal fabrication department has the capability to manufacture many custom products such as custom clamps, etc. 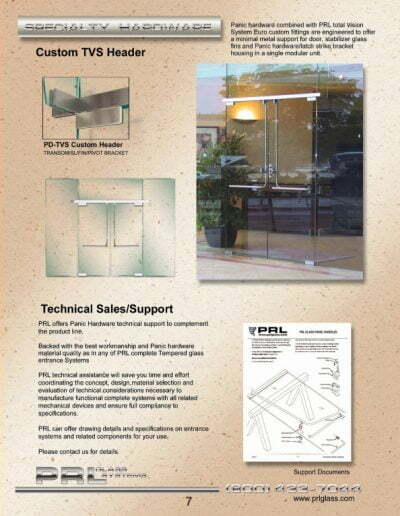 PRL is a privately owned company with a very experienced staff. We offer you the advantage of a team of experienced owners, personnel, and craftsmen that can produce your Complete Entrance System with the fastest lead time in the Industry. 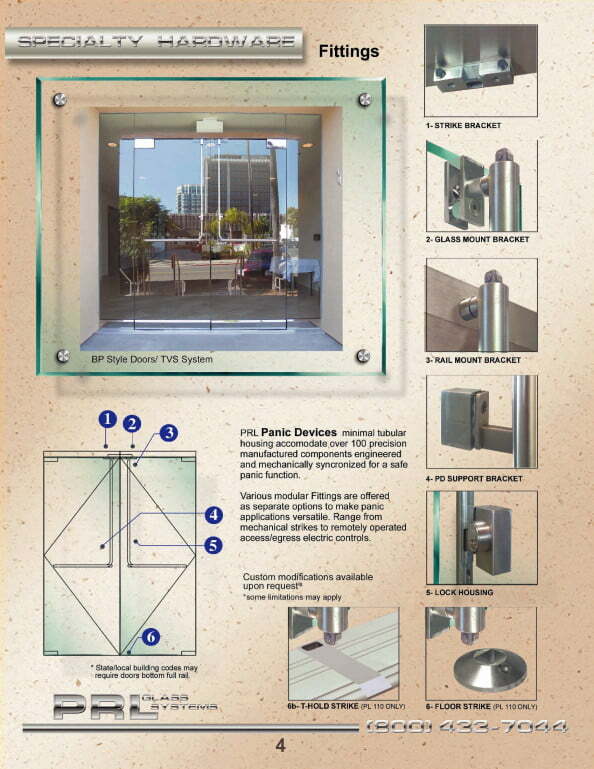 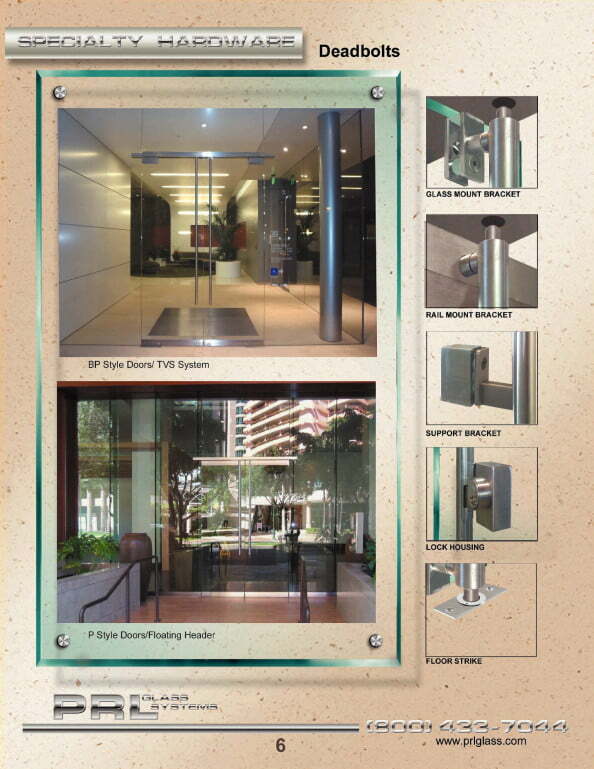 All glass entrance systems, components and complete tubular device systems and hardware all from one source, Simply supply us your device hardware specifications and let us take care of the rest Toll Free 800-433-7044.